Scott, Alison and their son Sam. 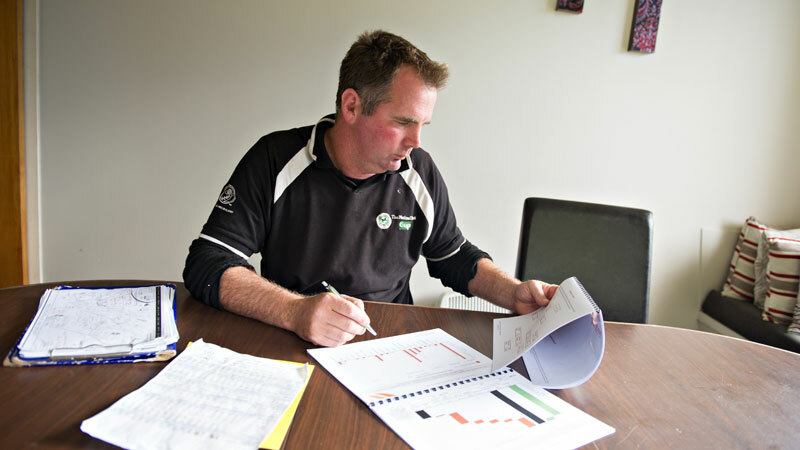 Scott uses DairyNZ’s DairyBase as a tool to measure, evaluate and change. He used the programme as a sharemilker and again now as an equity partner in the 300ha farm he operates near Te Puke in the Bay of Plenty. DairyBase tracks financial and physical data and allows farmers to access regional benchmarks to gauge how they are doing, compared to other farmers. “We do cashflow budgets every month but we’re doing them in isolation, so we’re only comparing our own farm’s performance year-on-year,” says Scott. DairyBase is relatively easy to provide information for, says Scott. This season is full of change, including a milking shed extension to help lift per cow production. When Scott and Alison moved to the farm in 2009, it had a 25-aside herringbone shed. In late March, construction began on a second 25-aside pit. Decisions are made based on the numbers, including those from DairyBase. It has been especially helpful in discussion between the equity partners, which includes Scott’s parents and a Waikato-based rural bank manager. “Having the data from DairyBase has been really good for all the business partners. They can see where we are performing well and where we need to improve. It’s really good for that,” says Scott. “For example, we looked at our per cow costs, $1208 per cow, which are really good compared to the average of $1764 per cow. Extending their shed to 50 sets of cups should decrease milking times, while increasing the number of cows milked twice-a-day in the season. Another change is switching to system three. Scott and his son Sam watch as the new dairy shed is built. This season Scott and Alison will have 750 cows and the shed extension will enable a return to 100 percent spring calving, having previously been split calving. A new milk supply company also fits better with their business plan. “It is not about spending no money, it is about making sure if you spend a $1 you get $1.20 or $1.50 back,” says Scott. The farm has two full-time and two part-time staff and the new shed is predicted to reduce labour costs. “Because we spent so long milking, we were spending around $1.36/kg MS on labour, compared to the DairyBase benchmark of $1.05/kg MS. We should be able to get our labour cost closer to the benchmark once we have completed the shed,” says Scott. Using DairyBase as a sharemilker, Scott identified repairs and maintenance as a significant expense to his business, compared to other farms in the Bay of Plenty. As an owner/operator, he decided to quit all his gear and use contractors to make silage, cultivate and spread fertiliser. The DairyBase figures for 2012/13 have illustrated the value of that decision. Scott and Alison have now completed five seasons on the farm. Leasing land dictated a lot of their decisions for the first few years. When they first arrived, they took on the neighbour’s 150ha for a two-year lease, in addition to the 150ha they own. That lease continues today but over a longer term. “We didn’t want to spend too much money in those early years under a short-term lease because if we lost the lease, we’d have overcapitalised the farm,” says Scott. 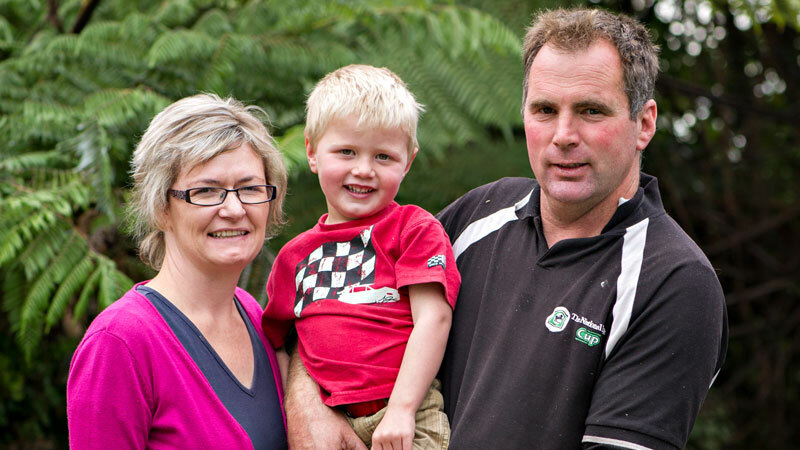 Scott and Alison benchmark against other farmers to identify how to achieve their goals. “With the DairyBase benchmarks you can look at individual costs. Then you look at the business overall and how much money it is driving out. Then you tie that information back to where you want to be,” says Scott. In 2006, as sharemilkers in Rotorua, Scott and Alison wrote their next set of goals. They can monitor how they are tracking towards their goals, with DairyBase. Getting information into DairyBase early enables physical key performance indicators and benchmarks for the previous season to be available in early spring. This means the effects from changes made on the farm last season can be assessed quickly. Scott attends a specialist discussion group where everyone shares information from DairyBase. Scott says it is important that farmers have a way to access other farmers’ information. Thanks to a DairyBase project run by the Bay of Plenty Focus on Dairy group, farmers have robust figures, with more than 40 farms contributing to the benchmarking data. The plan is to increase this to 50 farms next season. DairyBase helped Scott and Alison compare their farm’s physical and financial information against the local Bay of Plenty benchmark. From there, they identified areas not performing and ‘why’. Labour costs identified as above the benchmark helped inform the decision to double their dairy shed from 25 to 50 sets of cups, to improve labour efficiency. Data also supported increasing herd size and moving to a system three farm, to improve profitability. Specialist DairyBase discussion group shares farmers’ information and helps inform decisions.